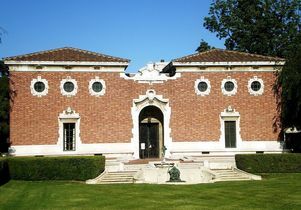 The William Andrews Clark Memorial Library is one of 12 official libraries at the University of California, Los Angeles. And apart from having a magnificent collection of English literature, it also inspires an unusual amount of love among its loyal visitors. About 21,000 kids are in Los Angeles County foster care and another 14,000 are in the child welfare system. The odds are often stacked against such children. Ongoing instability at home can make it more difficult to succeed in school and even later in life. Now, the new UCLA Pritzker Center for Strengthening Children and Families is working to apply academic wisdom to help foster youths become thriving adults… Take Two’s A Martinez spoke with the Director of the Pritzker Center, Tyrone Howard. Whether studios are getting on board or not, there are signs that audiences want them to. A University of California Los Angeles analysis of 174 theatrical films released in 2016 suggested that films and movies are becoming more diverse. “The industry appears to have finally embraced the idea that America’s increasingly diverse audiences demand film and television content populated with characters whose experiences resonate with their own, who look like them, and with whom they can relate,” the report said. California’s big utilities get about half their electricity from gas-fired power plants, so yes, gas remains a critical part of the state’s energy diet, said UCLA Engineering professor Laurent Pilon. Natural gas is plentiful, and it is low cost. It’s good at firing up power plants very rapidly, which is important when intermittent sources like solar and wind can quickly fall off. It’s true that caffeine is a mild diuretic, which means that it causes your kidneys to flush extra sodium and water from the body through urine. If you’re peeing frequently, and thus losing lots of liquid, it’s logical to think you could become dehydrated — but it actually doesn’t work that way, explains Dr. Daniel Vigil, an associate clinical professor of family medicine at the David Geffen School of Medicine at the University of California Los Angeles. The UCLA Anderson School of Management’s Jerry Nickelsburg helped conduct a recent survey gauging how developers are feeling about commercial real estate prospects in California. Released in January, the survey found sentiment was generally positive, especially after passage of the GOP tax cuts. (Commentary written by UCLA’s Patricia Greenfield) But what is the evidence connecting video games to violent behavior? Let’s begin in the 1990s: Calvert and Tan’s 1994 experiment showed that playing a violent electronic game enhances physiological arousal and aggressive thoughts to a greater extent than simply watching the same game. So, while myriad studies have linked TV violence and aggressive or violent behavior, we should not be surprised that enacting virtual violence in a game has stronger effects on motivation and behavior than simply watching it on a screen. According to researchers at the University of California in Los Angeles and the University of Sydney, Australia, there are approximately 163 million dogs and cats in the U.S. alone whose consumption of meat contributes around 25-30% of its environmental impact.